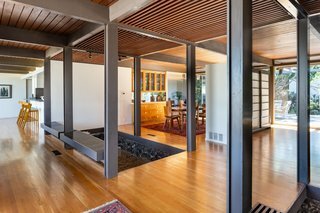 Designed by residential architect Charles Wong in 1962, the post-and-beam Yuen Residence is an example of the burgeoning postwar influx of Japanese-inspired design in Southern California. 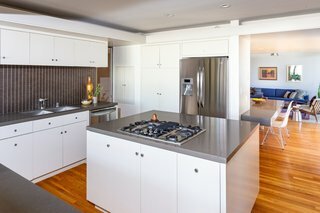 The home's elegant, minimalist interiors blend a distinctive Japanese aesthetic with classic modernist design elements such as post-and-beam construction; a wood-paneled, tongue-and-groove ceiling; clerestory windows; and walls of glass. The serene, Japanese-inspired midcentury home features interiors that are fully connected to the outdoors. 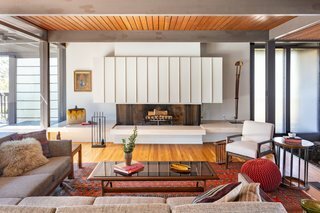 The open living room is anchored by a large fireplace and connected to the dining room and kitchen. 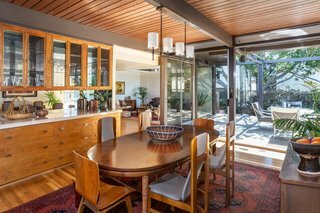 The sprawling 3,593-square-foot, three-bedroom, four-bath home has bright and airy open-plan interiors with two sunken rock gardens, benches, and beams that break up the space while providing support. 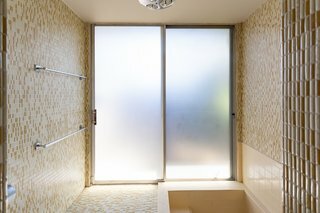 Built-in cabinetry with paper-lined doors, fusuma (rectangular panels which can redefine spaces within a room), sliding glass doors, and shoji screens all add to the home's minimalist Japanese-inspired aesthetic. 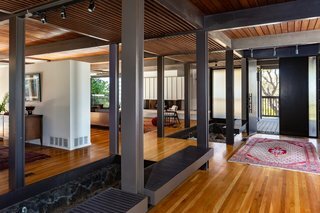 The open plan is visually broken up by the use of shoji screens and beams. The entry is set apart from the living space by two sunken gardens. 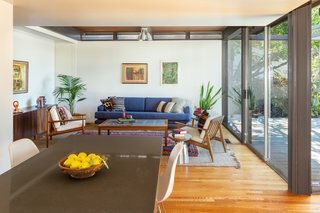 The entry flows into the kitchen, dining room, living room, and straight out the back. 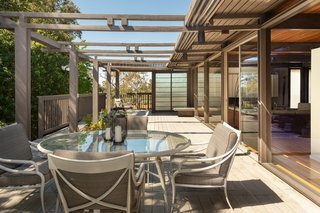 Sliding glass doors connect the dining area to a long deck that lines the exterior. 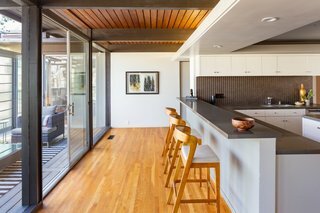 Long decks wrap the house and integrate with the interior via sliding glass doors. 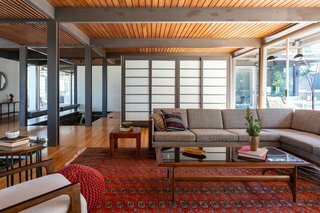 Solid beams support the tongue-and-groove wood-paneled ceiling, which extends to the exterior of the home. Every room is connected to the outdoors. 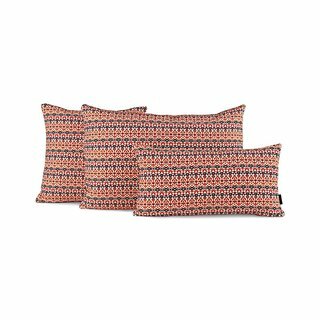 Trained as an architect but proficient in nearly all design disciplines, Alexander Girard had a profound impact on 20th-century visual culture. 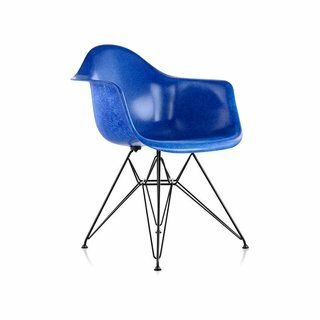 Thanks to a new proprietary process of producing fiberglass, Herman Miller is once again able to produce the Eames original 1950's Molded Fiberglass Chair safely by means of a less volatile, monomer-free "dry bind" process. 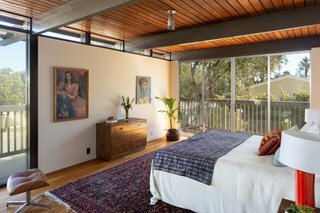 The serene master bedroom has a strong indoor/outdoor connection. 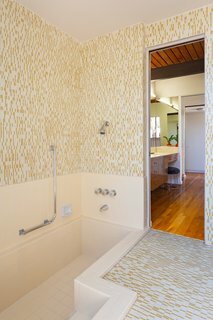 The vintage master bath has a deep soaking tub, inspired by Japanese bathing culture. Another view of the step-down soaking tub. 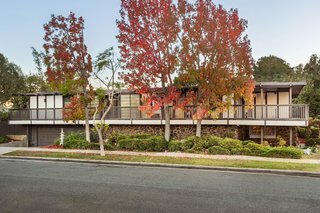 4476 Mount Vernon Drive, Los Angeles is currently listed by Matt Berkley and Scott Lander of Deasy Penner Podley. The home is being sold through the plumBid auction system with the bidding starting at $1.099 million.